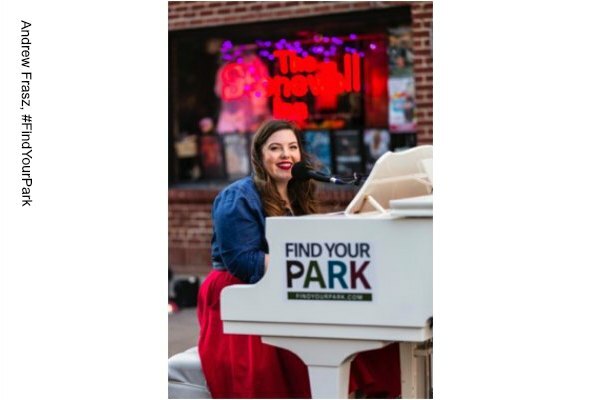 Out singer Mary Lambert on Monday held a surprise performance in front of the Stonewall National Monument. New York City's Stonewall Inn in June became the first national monument honoring the LGBT rights movement. The monument includes Christopher Park, the Stonewall Inn and the surrounding area that was part of the 1969 Stonewall uprising credited as a major flashpoint for the gay rights movement. Lambert performed Same Love, the marriage equality anthem written by hip hop duo Macklemore & Ryan Lewis, She Keeps Me Warm and her new single Hang Out With You. Lambert, the #FindYourPark ambassador, added that she was “beyond honored” to perform at the Stonewall National Monument.